From 1567 Sumuleu is the place of Whitsun pilgrimage, which center is a grace statue which represents a woman which is attired in Sun. 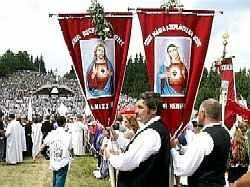 The Pentecost Pilgrimage from Sumuleu Ciuc is the most important feast of Szeklers. Many people participate in the pilgrimage, Szekler, "Csángó" people (catholic people from Moldova, with Hungarian origins), and other visitors from all around the world. The most important moment of the pilgrimage is on Whit Saturday. 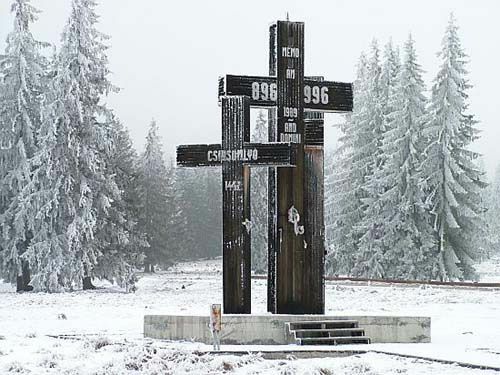 That day, at 1 p.m. is the procession and mass kept on the lawn of the pass between the "small" Sumuleu hill, upon the church, also called the Jesus-Mountain, and the forests-covered, 1035 m high "big" Sumuleu- Mountain. Every year more hundred thousand of people participate pilgrimage, the mass is usually transmitted live on Duna TV channel. The only town in the South-Ciuc basin is well-known in the country and abroad due to its medical baths and mineral waters. There can be organized many trips, to Sólyomkõ, Tusnad Stream, to Vártetõ from Tusnad, and Saint Ana’s Lake. Saint Ana’s Lake This is the only lake in a volcanic crater in Europe which is big and whole. It is a wonderful sight between pinewoods. 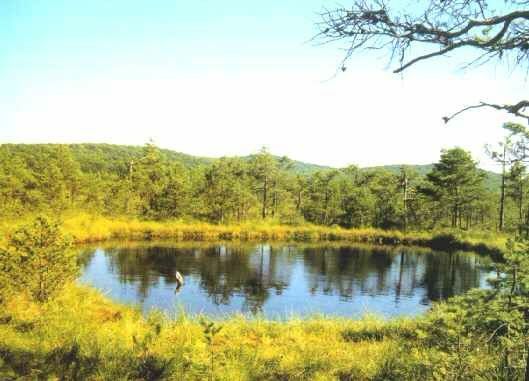 The form is almost a perfect circle; the water is fresh and very clean. 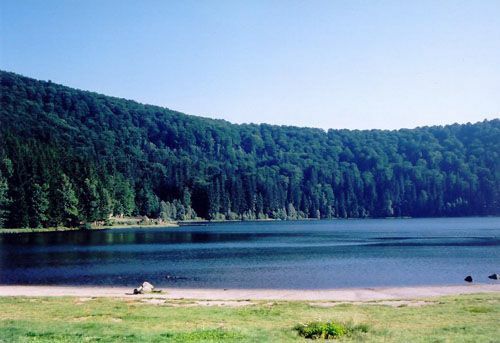 The lake is situated at 950 m high above sea level. 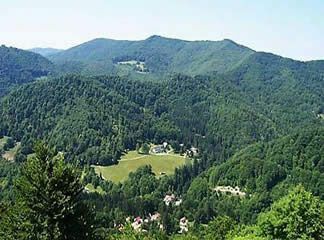 This is the most visited sight from Transylvania, today is a nature sanctuary. 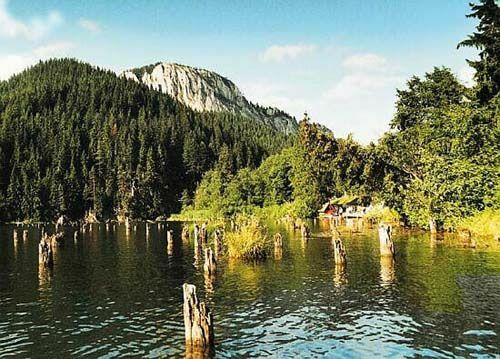 The lake is one of the most wonderful lakes of the country, the natural rarity of Szeklerland, because of the remains of a fir-wood lying under the lake. It is a naturally barricaded lake formed in 1837 as a result of a rockslide from Gyilkoskõ into the rivulet Bicaz. The tradition says that by the time of the catastrophe there were on the rock shepherds and the rockslide has whirl them into the river, this is the origin of the lake’s Hungarian name (“Gyilkos” means killer). Other tradition says that one winter the ice break in under the people and fell and died there together with their animals. 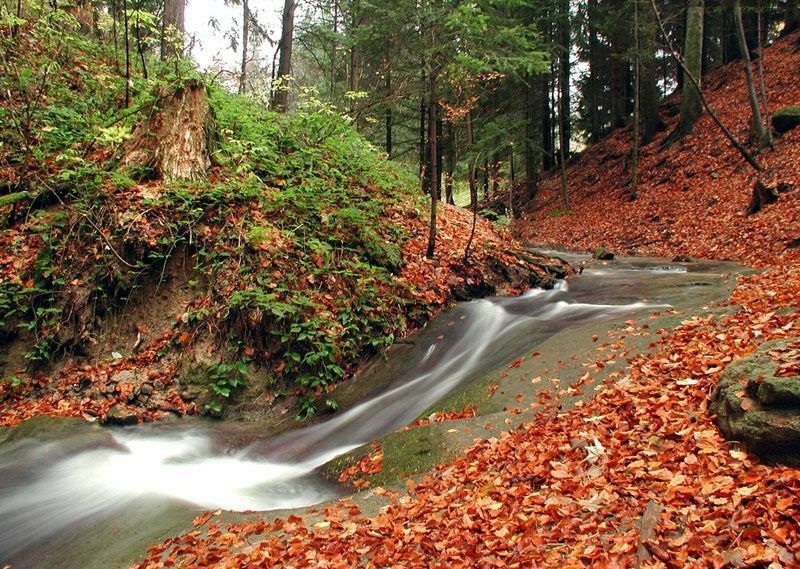 This is the biggest stream in the Eastern Carpathians. Walking across to the gorge you can see 200-300 m high stones above, and in the narrow valley, near the road there is the Bicaz rivulet, which has a descent of 200 m to the exit of the stream. This place is a paradise for alpinists; the view of the perpendicular stone walls is unforgettable. Well-known because their salts mine, this is a typical settlement between mountains. The visitors and people with asthma are taken into the mine with bus. Here is an asthma-treatment center. The other sight of the village is the thermal salted bath. It gets the water from 2200 m deep; the 46 C degree water is coming there with free fall, in a quantity of 46000 liter/day. 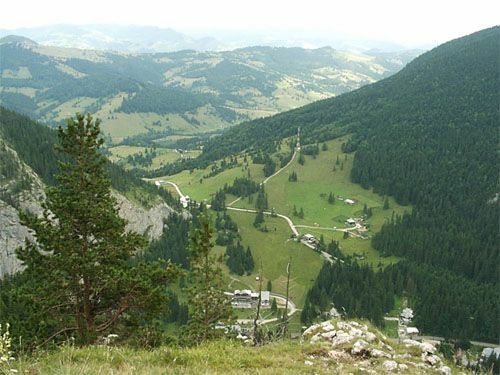 Sovata is a holiday-resort, famous in all Europe. Its most precious treasure is the Bear-Lake, which is the biggest hot-water lake in the country. The shape is of an outstretched bear-skin; probably this is why the lake is called Bear-Lake. The water is very salted; the quantity of salt inside the water is approximately 66 thousand ton. The temperature is also remarkable; it is warmer at the bottom: at 0.5 m deep has 31.8 degrees C, but at 1.5 m deep has 66.5 degrees C. The valley of the lake is wind-free, opened at the southern part, very sunny, and the air is dust-free, so you can have an undisturbed recreation. 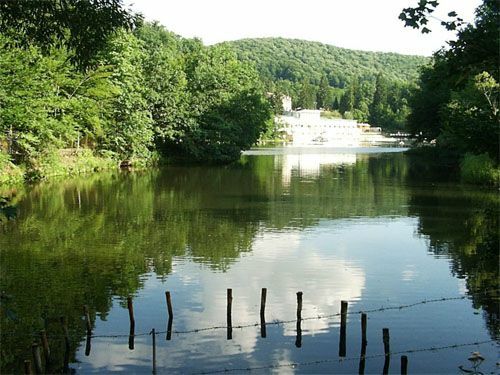 Harghita Spa is a settlement belonging to Miercurea Ciuc, it is the favorite sky-paradise of people living in Ciuc region. On the territory of the settlement there are more sulphureous, gassy spas: the Vallató bath has 6-7 degrees cold water, 8 cabins with hot bath, two sulphureous pits. It has a good effect in case of general weakness, Basedow disease, and nervousness, mental or corporal fatigue. Once it was well-known the bath formed in the Omláka moor (Apor bath), the "Szemvíz" spa, a "Vallató" bath, the Lobogó moor-bath. In Lunca de Jos and in Lunca de Sus you can familiarize with the traditions and with the culture of “csángó”. The defile from here is the most interesting part of Tatros valley. The historical border in this part is setting near the Csülemér ridge, from the Csülemér brooks valley to the Tatros. Here puts up the frontier column number 59. Here we can found the one-time customs-house, the ruins of the house of finance and the foundation of old warehouse. In the twin crater of Ciomatul Mare is the basin if the Mohos lake. Due to continuous filling up today it is an alpine muskeg. The flora of the Mohos Lake is very special, there is 20 kind of moss, and very rare plants, like peat-rosemary, and peat-cranberry. The ruins of the Balvanyos Castle are at 45 minutes distance of the bath, on a 1029 m high hilltop. It was the property of the Apor family, and a lot of legends are about it. According to these Jókai Mór, the writer wrote his novel, Bálványosvár.